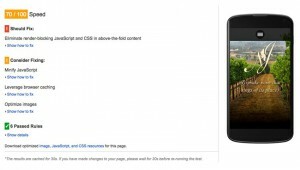 Google has announced that starting on April 21, 2015, it is changing its search engine algorithm to evaluate how mobile-friendly your website is (or isn’t). The results of that evaluation will have an impact on your website ranking in Google search engine results pages for mobile searches. Google has stated that 50% of all online searches are now from mobile devices. And there are estimates that Google controls 60% – 85% of all the search engine traffic. So if being found in Google is important for your business, you must move now to get it optimized for mobile devices. Our clients’ inbound traffic from mobile users ranges anywhere from 15% to 60%. However, even on the low end of 15%, they really need that traffic to grow their business. If your inbound organic search engine traffic by mobile devices is 20% or above, you need to ensure your website is mobile friendly. Each of these methods has advantages and disadvantages and you must do certain things correctly within whatever method you choose. We have implemented all three (3) methods when building mobile-friendly websites in the past, but we concentrate on Responsive Design today. After many companies tried various methods,Google decided that their preference is for Responsive websites. However, as long as you have implemented the other 2 methods correctly, you should be ok – for now. As with Google, all things will change. We have also noticed where Google has changed their mind on certain coding techniques. It is important that you have your website evaluated now for the mobile user experience you are currently delivering. Go to your Google Analytics or website statistics software and determine what percent (%) of your inbound traffic (visits/sessions and users) are coming to your website from mobile devices. Contact your website development agency to determine the best approach for making your website optimized for mobile devices now. Optimizing your website for lead generation and conversion. 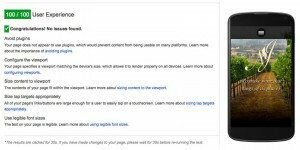 Optimizing your website for all mobile devices. Growing your business through the most proven marketing method. How Do I Integrate My App With My Brick-and-Mortar Locations?